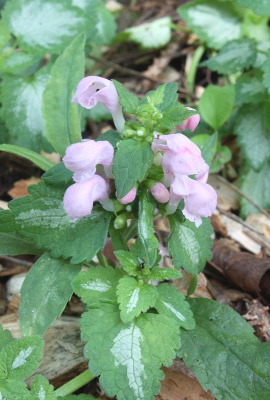 A large-flowered cultivated species, occasionally escaped to roadsides, railroads, and disturbed places. First collected in 1913 in Emmet or Cheboygan Co. The leaves are blotched with a pale streak along the midrib. MICHIGAN FLORA ONLINE. A. A. Reznicek, E. G. Voss, & B. S. Walters. February 2011. University of Michigan. Web. 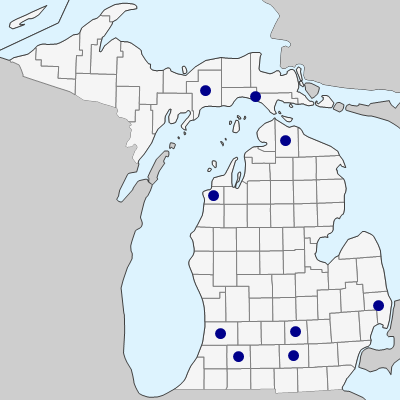 April 21, 2019. https://michiganflora.net/species.aspx?id=1554.